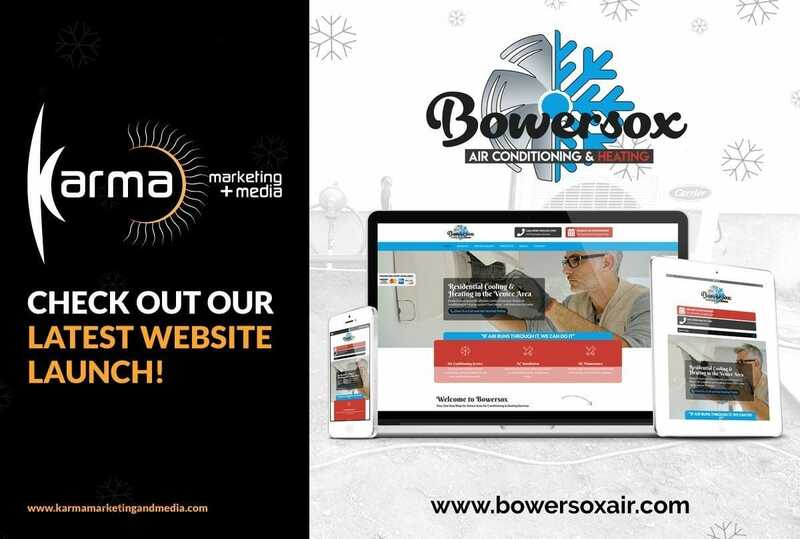 Karma Marketing + Media, now located inside the Pattison Building at the Venice Sign Shop, developed this Custom WordPress Website for Bowersox Air Conditioning & Heating. This Venice website project took a little over three weeks to complete and the client is delighted with how it turned out! If you are looking for someone to take over your Venice area website and do a fantastic job for you, please contact Michael Given at (941) 500-4530, or stop down and visit him at the Venice Sign Shop.